*We received complimentary Kore™ Wobble Chairs in exchange for this review. All opinions and text are ours. I’ve mentioned before that I have a special place in my heart for kindergarten teachers. 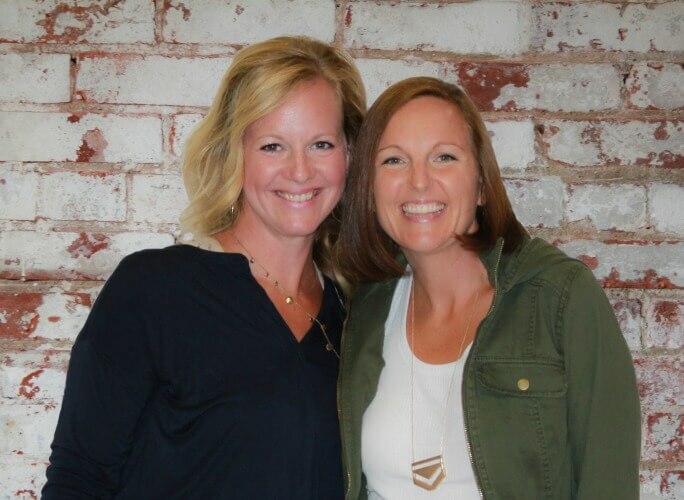 The ones I work with are patient, loving, perceptive, creative, and resourceful. 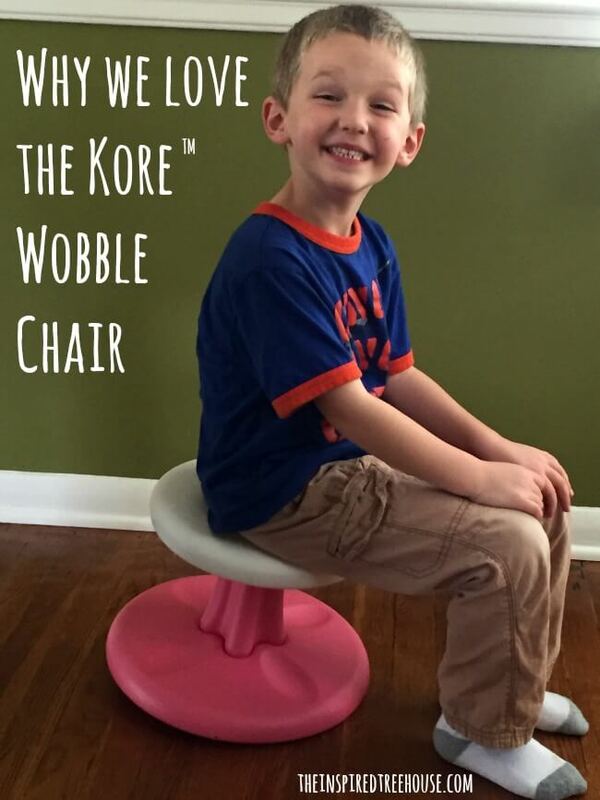 So I wasn’t at all surprised when one of my favorite kindergarten teachers stopped me in the hallway to tell me about an awesome product – The Kore™ Wobble Chair. Almost simultaneously, we both said, “We need these!” And I set about getting my hands on a couple of the Wobble Chairs for us to try out in the classroom and in therapy. Luckily, the folks at www.wobbleseat.com were happy to oblige! We were so excited to try out the 10-inch Toddler Wobble Chair with our younger preschool students and the 14-inch Kids Wobble Chair with our kindergarteners. The Kore™ Wobble Chair is basically a school-based therapist’s dream come true because it effectively targets two of the most common issues we see in classrooms: fidgety kids who have difficulty attending and staying in their seats and kids who struggle with postural stability due to weak core muscles. The Wobble Chair’s base is slightly rounded on the bottom, allowing for a gentle rocking movement. 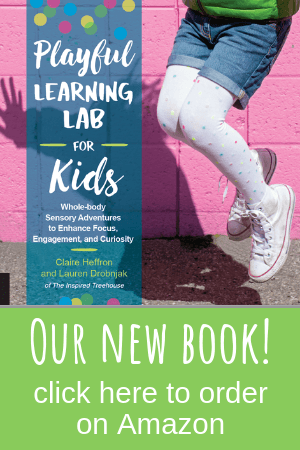 This provides subtle input to the vestibular system, making it an awesome sensory strategy to promote engagement and attention in the classroom. We immediately put the Wobble Chair to use with a student in one of our kindergarten classrooms who was having difficulty staying in her seat and the teacher saw an almost immediate improvement in her ability to attend and stay on task. We implemented the smaller stool in one of our preschool classrooms, allowing students to use it as a seating option during circle time. Again, it came in handy for fidgety kids who were struggling with attending during this group instruction time. Hooray for easy classroom sensory strategies, right? But that’s not where the magic ends for the Kore™ Wobble Chair, because this little gem is also amazing for targeting core strength! Similar to a ball chair, when kids sit on the Wobble Chair, they have to use their core muscles to maintain stability and keep from tipping to one side or the other. We think the Wobble Chair is preferable to a ball chair for many kids because it offers more structure and stability and…it doesn’t roll all over the place when it’s not in use! The Kore Wobble Chair is an awesome seating option for the classroom. But we also wanted to take this cool little stool for a ride in our therapy sessions to see what it could really do! 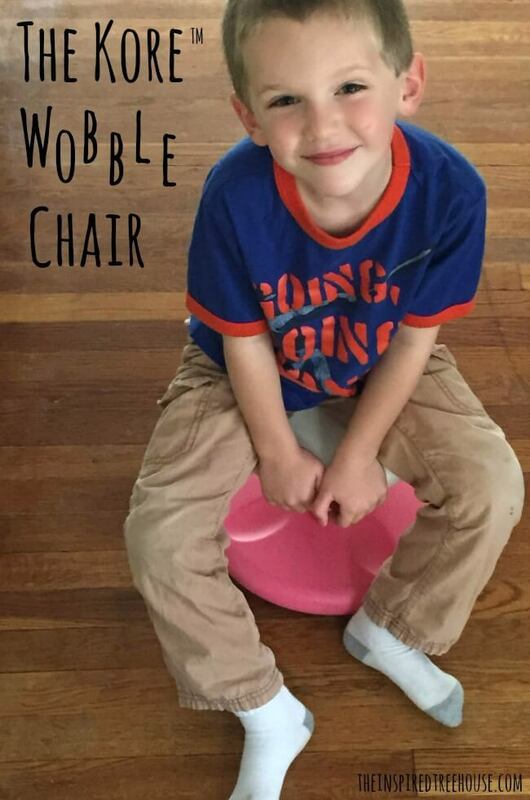 Here are some of our favorite ways to use the Wobble Chair! All of these activities require close supervision and/or hands-on assistance for safety depending on the child’s age and ability level. 1 || Wobbly Bridge Pose – Have the child lay on the floor on his back with his heels up on the Wobble Chair. Tell him to push into his heels and lift his bottom up off the floor into bridge pose. Try rolling a ball under the bridge for some extra motivation! 2 || Tippy Tummy Time – Have the child position herself in all fours with her tummy on the top of the stool. See if she can lift her arms out in front of her like a flying super hero, keeping her knees on the floor. Then, see if she can lift her arms and her legs at the same time, balancing on her tummy on the stool! 3 || Strengthening Plank – Have the child place his hands on the top of the stool, stretching his legs back into a plank pose. It will take some extra work to keep his body stable while balancing on the wobbly stool! 4 || Around the World – This one is extra fun! Try giving kids some extra vestibular input by spinning them slowly on the stool as they rest on it on their tummies or in sitting! 5 || Sit and Stretch – Try some dynamic reaching activities with the child seated on the stool. Can they reach up high and side to side to place stickers on the wall? Can they reach to grab objects or toys off the floor to shoot them in a basket or toward a target? So there you have it! The Kore Wobble Chair has quickly become one of our favorite seating options for little ones in the school setting. And it offers the added bonus of being an awesome core strengthening and sensory treatment tool too! So what are you waiting for? Head on over to www.wobbleseat.com and pick up one of your own! You won’t be disappointed! I just ordered several of a similar product for kids at my school. I can’t wait till they arrive and we can try them out! Thanks for the review and treatment ideas! Great post, Claire! Thank you! We definitely need one of these at our house! My kids love this type of wobble chair, My first child already has a one for him, I have ordered another kore wobble chair for my second child. Ever children love this due to the different size, shapes, and fun in the wobble chair when compared to other ordinary chairs. I have these and they are great, except they take the wax off my classroom floor, any suggestions on what to put on the bottom so that I can continue to use them? Are there any students that you would not recommend using a wobble stool for?